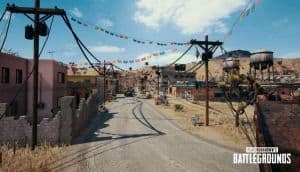 PUBG Anti-Cheat Security Coming In Next Update | Nerd Much? The developers of PUBG have announced over at Steam that a new PUBG anti-cheat update will be coming to PC only. The update will include multiple locations for players to spawn before a match starts. Apparently the interaction between so many players there was killing the servers, so now there are multiple smaller areas. Bluehole also plans on improving airplane performance, with more details on that coming soon. They warn that this might cause some PCs to crash at the start of a match, due to compatibility issues. If this happens to you, be sure to take a screenshot of the error and post it to the PUBG forums. Once Bluehole is sure that the anti-cheat system will be stable, it will be applied to live servers. The time of which will be announced later on. This announcement comes after the mass ban PUBG rolled out to 10,000 cheaters. The studio’s anti-cheat team had gone over millions of data logs and reports from players before coming to the concluded number. Bluehole also stated that they are pursuing criminal charges in the countries these cheaters are from. They are more than determined to catch any and all cheaters and remove them as permanently as possible from their game. This was quickly followed by Blizzard’s arrest of Overwatch cheaters in South Korea. The sentence is rather serious as well, with five years in jail if they are found guilty. Epic Games also made it clear that they are pursuing criminal charges for Fortnite Battle Royale cheaters as well, one of which happened to be under 18. This sparked some debate over whether the cheater should really be punished or not. Thus far, it seems that Epic Games is holding fast. Hopefully, this new update will squash PUBG hackers everywhere, as cheating has become too prominent. Hopefully, we’ll get some official patch notes here soon, but for now, at least we know they’re really trying to stop the hacks. How do you feel about all this strong anti-cheat movement from game developers? Are they creating a better community or something much worse? Let us know your thoughts in the comments below.